John Forrestall has joined the commercial team as a CAD specialist. He has more than 20 years of experience in the industry, working closely with both residential and commercial clients. He will produce construction drawing sets, floor plans and 3-D furniture models for clients. Whitney Royer, Allied ASID, has joined the commercial team as a staff designer. She holds a bachelor’s degree in interior design from Georgia Southern University and has worked in the interior design industry for four years. She will assist with the firm’s hospitality and resort projects. Blake Pettite has joined the staff as a commercial design assistant. Pettite previously worked for Lowe’s and Circa Lighting. He is a graduate of East Carolina University and has a bachelor’s degree in interior design. Cinemark Bluffton 12 has updated its theater seating to include luxury loungers. The new reclining seating offers two heating options, foot rests and cup holders. New seats will be installed in every theater and customers are required to reserve their seats when purchasing tickets. Other renovations occurring in the near future include new carpeting and new paint. The Wink Lash Room is now open on Lawton Street in Old Town Bluffton, specializing in individual eyelash extensions, volume eyelash extensions, lash and brow tinting, and facial and body waxing. Owner Alexis Sargo has managed a number of spas throughout the nation. Dr. Grif Holland and Dr. Heidi Holland have opened Lowcountry Vets, a full-service veterinarian clinic and hospital. Services include routine exams, immunizations and dentistry. The new office is located at 168 Bluffton Road. Sea Smiles Pediatric Dentistry has a new office in downtown Bluffton. Dr. Shane Harpham is a board-certified dentist who specializes in infant, child and teen dental services. Sea Smiles is located at 164 Bluffton Road. Colette Stevenson, CEO of Multiple Listing Service of Hilton Head, has completed the Disney Institute course on quality service. The Disney Institute encourages enrollees to adapt Disney business insights to improve their own organizations. HHIMLS facilitates more than $3.5 billion annual property transactions. Stevenson is one of a few MLS leaders from around the country who have completed CMLX3, the highest level of training. The Greater Bluffton Chamber has recently formed the Chamber Community Fund, which will help the community with scholarships, apprenticeships, special projects and small business assistance. Peacock Automotive donated to the fund to promote its mission and success moving forward. 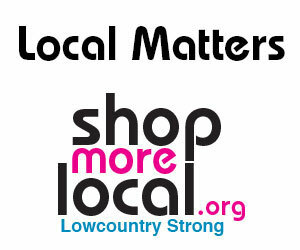 The fund is being managed by Community Foundation of the Lowcountry. For more information or to donate, call 843-681-9100. Kevin Sevier State Farm Agency celebrated its 10-year anniversary with a new office in Bluffton. The agency opened in Bluffton in 2008 and has six fully licensed agents. The company specializes in home, auto, life and disability insurance, as well as Medicare supplementation. The new office is located in Buckwalter Place. Oak Advisors has awarded high school seniors Aidan Sanz and Kendall Ocello the 2018 Oak Advisors Scholarship of Excellence. Sanz graduated from Hilton Head Preparatory School in May and will attend Villanova University. Ocello graduated from Hilton Head Island High School in May and will attend the University of South Carolina. The Oak Advisors Scholarship of Excellence is an annual scholarship administered by Community Foundation of the Lowcountry and awarded to qualified local high school seniors who plan to major in business or economics at an accredited college or university. Oak Advisors is a locally owned and operated investment advisory located in Bluffton. To meet the community’s emergency care needs, Coastal Carolina Hospital will build a freestanding emergency department at the intersection of S.C. 170 and Tidewatch Drive in Hardeeville. The $15 million facility is projected to be 10,000 square feet with 12 private treatment areas and will operate 24-hours a day year-round. Coastal Carolina Hospital purchased the 29-acre plot in May 2017 and received a certificate of need for the project from the S.C. Department of Health and Environmental Control in October 2017. The facility is expected to open by summer 2019. For the 23rd straight year, Sonesta Resort Hilton Head Island has earned the AAA Four Diamond Award from AAA Carolinas. Only 3.4 percent of more than 59,000 annual inspections conducted nationally result in a Four Diamond rating. Sonesta Resort Hilton Head was one of 30 hotels in South Carolina to earn the recognition.